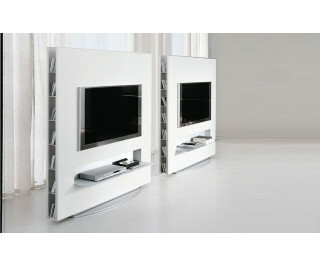 The TV and Hi-Fi unit is innovative and versatile. It was designed to meet the needs of modern homes, where electronic devices take a first hand role. Fluorescent light and aluminium shelf for DVD player or decoder.